When you or a loved one suffers an accident in Ohio or Michigan, finding the best lawyer for your needs is critical. Our office has two generations of experience handling injury claims. We handle serious car accidents, motor vehicle collisions, truck crashes, and motorcycle accidents. We aggressively protect your rights while maintaining excellent professional relationships with our clients. There are many complex issues involved in the Ohio and Michigan automobile and motorcycle accident law, as such, legal assistance is highly recommended. In addition to the complex nature of the law, it is constantly changing. The questions and answers on this website are only intended to answer some common questions; they cannot be used in the place of seeking competent legal advice for your particular situation. We handle car accidents, motor vehicle collisions, truck crashes and motorcycle accidents throughout Michigan and Ohio. If you or a loved one has been injured in a car accident, you need experienced automobile accident attorneys. You may be entitled to damages for your lost wages, property damage medical bills and pain & suffering. We handle cases involving the reckless and negligent conduct of other drivers. We help people who have received back injuries, breaks, burns, dislocations, fractures, neck injuries, nerve injuries, paralysis, serious brain injuries, spinal cord injuries and whiplash. If you have been injured in an Ohio or Michigan automobile accident, you can count on the experience and personal representation provided by our motor vehicle, motorcycle, and truck accident attorneys. 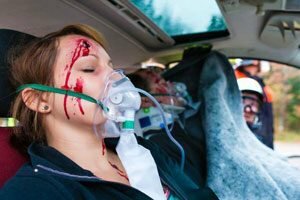 Millions of people are injured each year in auto accidents, resulting in billions of dollars in damages. We know how to deal with insurance companies to negotiate the best result for you. We are dedicated to serving the needs of persons injured through no fault of their own. All cases are taken on a contingency fee and the initial consultation is free! If you have been injured in a car, truck or other vehicle accident, and you need an Ohio or Michigan auto accident lawyer, fill out our FREE Case Analysis Form below or contact us.